The Malaysian Institute of Estate Agents (MIEA) is targeting the transaction value of the secondary property market to increase by between 5% and 8% this year. Speaking at a press conference on the Malaysian Secondary Property Exhibition (Maspex) 2013, Paul said for this year, the market would see a dramatic increase in residential properties priced from RM300,000 to RM700,000. MIEA will be organising the inaugural Maspex 2013, featuring 32 real estate agencies from April 12 to April 14 at the Tropicana City Mall here. “We are targeting at least 3,000 visitors per day. Property exhibitions are always a big draw,” said Paul. “On average, the secondary market offers more than a 30% discount when compared with new properties,” he added, noting that the secondary property market guaranteed a mature location, with all conveniences thrown in such as public transportation. Paul also said the exhibition provided a platform to better serve the public and further assist MIEA members to enhance their business activities. 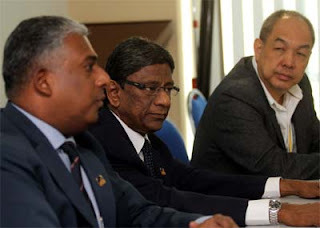 Also present was MIEA deputy president Siva Shanker, who said that in terms of the volume of residential property transactions in Malaysia, the secondary market accounted for almost 87% of the total transaction in the first half of 2012. “The primary market seems to be over-represented, in terms of advertisements, exposure as well as exhibitions,” he observed.